WASHINGTON, DC, March 16, 2011 (ENS) – Citing the nuclear emergency in Japan, California’s two U.S. Senators today called on the U.S. Nuclear Regulatory Commission to perform a thorough inspection to evaluate the safety and emergency preparedness of the state’s two nuclear power plants, both located on the Pacific Ocean and near earthquake faults. 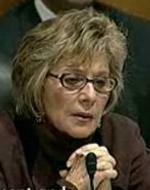 Senator Barbara Boxer, who chairs the Senate Environment and Public Works Committee, and Dianne Feinstein sent a letter to Nuclear Regulatory Commission Chairman Dr. Gregory Jaczko asking for evaluations of the San Onofre nuclear power plant in San Clemente and the Diablo Canyon Nuclear Power Plant near San Luis Obispo. The senators, both Democrats, asked the NRC to respond to questions about plant design and operations, type of reactor, and preparedness to withstand an earthquake or tsunami, in view of Japan’s current nuclear plant crisis following Friday’s magnitude 9.0 earthquake and tsunami. 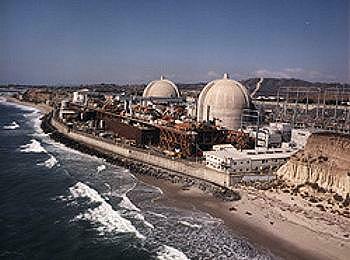 The San Onofre power plant is located 45 miles southeast of the city of Long Beach, California, while the Diablo Canyon power plant is located 12 miles west southwest of the town of San Luis Obispo. As workers at Japan’s Fukushima Daiichi nuclear plant struggle to keep the fuel rods covered with water even without power to the pumping systems, the U.S. Nuclear Regulatory Commission today advised U.S. residents within 50 miles of the Fukushima reactors to evacuate. “This report found that the San Onofre plant could experience ‘larger and more frequent earthquakes’ than the maximum 7.0 magnitude earthquake predicted when the plant was designed,” she said. There is an additional fault near the Diablo Canyon plant that should be taken into consideration as part of NRC’s relicensing process, the 2008 California Energy Commission report found. In addition, said Boxer in the briefing today, “It is our understanding is that NRC has not taken this report into account and has done nothing about this report. “We want to know if the NRC will address all of the threats, including seismic threats, described in the 2008 report at these facilities,” the senators wrote. “We have been told that both Diablo Canyon and San Onofre Nuclear Generating Station are designed to withstand the maximum credible threat at both plants, which we understand to be much less than the 9.0 earthquake that hit Japan. What assumptions have you made about the ability of both plants to withstand an earthquake or tsunami? Given the disaster in Japan, what are our options to provide these plants with a greater margin for safety?” the senators asked in their letter. During the briefing in committee today, Senator Boxer demanded repeatedly of the Nuclear Regulatory Commission witnesses how many U.S. nuclear power plants are located on or near earthquake faults. Neither Chairman Jaczko nor Bill Borchardt, NRC’s executive director for operations, could provide an answer. 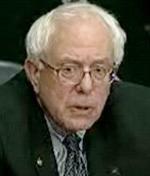 During the briefing, Senator Bernie Sanders, a Vermont Independent, asked Chairman Jaczko to re-evaluate whether to issue a new permit for the 40 year old Vermont Yankee nuclear power plant. One day before the earthquake and tsunami struck Japan, the commission approved a 20-year license extension for Vermont Yankee, which is powered by a General Electric Mark I boiling water reactor identical to that of the unstable Japanese power plant. That decision was temporarily put on hold Tuesday, but Sanders used the briefing to ask Jaczko for a more serious re-examination of the future of the Vermont Yankee reactor, located five miles south of Brattleboro, Vermont, a town of about 13,000 people on the Connecticut River. The idea that a plant which has had a number of problems in recent years would be kept open for another 20 years is something that most people in Vermont do not agree with,” Sanders said. Any decision by the federal government on future licensing of Vermont Yankee should await “a thoughtful response to the tragedy in Japan and to make absolutely certain that nothing like that ever happens in the United States of America,” the Vermont senator said. He pointed out that the Vermont Senate voted to shut down Vermont Yankee next year when a state operating permit expires. Jaczko said repeatedly that there would be “a systematic and methodical look at all of the plants” in the United States to see if there are lessons to be learned from what happened in Japan. 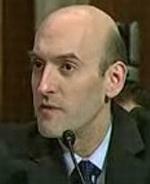 But he indicated that the Vermont Yankee licensing would not hinge on that review. 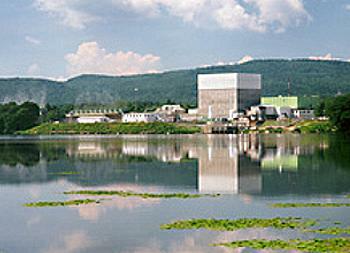 General Electric Mark I boiling water reactors are currently operating at 23 nuclear power plants throughout the United States, including Vermont Yankee. Click here to view a webcast of the March 16, 2001 briefing in the Senate Environment and Public Works Committee.